Doing the same things over and over again is the definition of insanity! UPGRADE YOUR INTERNAL OPERATING SYSTEM TODAY! 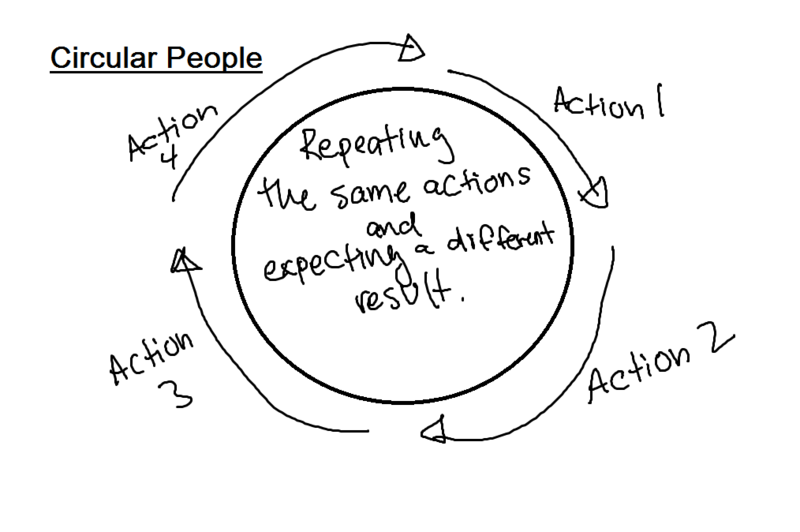 Circular People do the same actions over and over and expect a different result. Circular people represent the 98% of people in the world with no aim or direction in life. They wake up, go to work, come home, put a frozen dinner in the microwave, and watch TV until they fall asleep. They often wonder why they are not progressing in life and deep down have a "victimhood" mentality about the world. 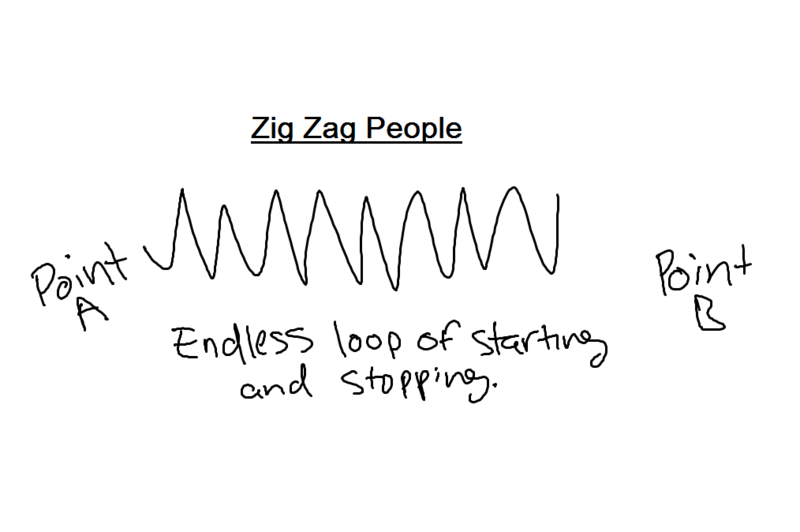 Zig Zag People often have goals and aspirations above the 98% of circular people. They rely on inspiration to begin working on their dreams. They attend conferences and buy countless info products. They suffer from "Shiny Object Syndrome" and as soon as they hit a roadblock or lose motivation they stop. They suffer endless loops of starting and stopping without ever achieving their desired results. 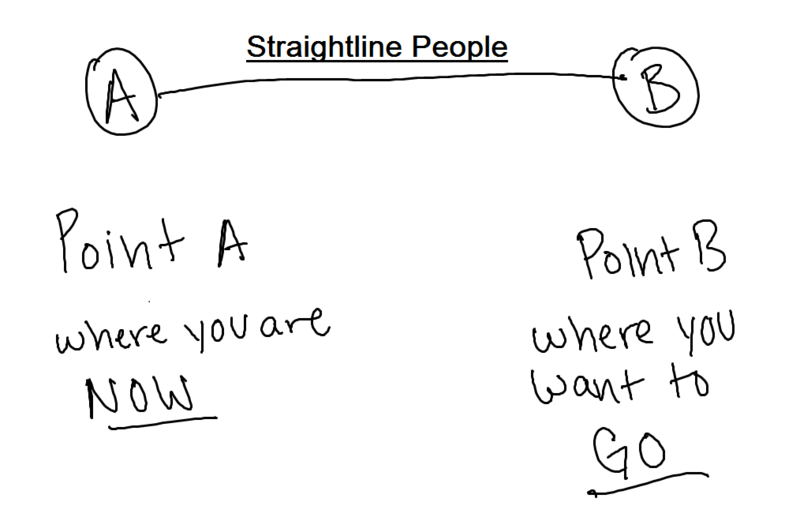 Straightline People are the 1% of the population. They have mastered the art of eliminating distractions and only focus on the next required action that gets them one step closer to their desired result. They have eliminated excuses from their vocabulary. They take action whether they "feel" like it or not. They do not let the lack of knowledge slow them because they understand the only way to know how to do something is to actually do it. These are the winners in the world. 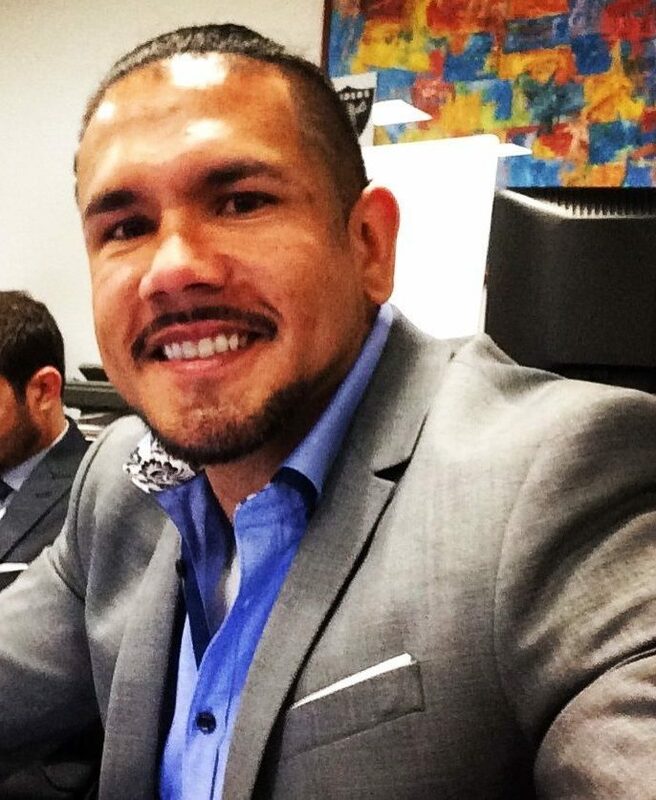 My name is Kris Cantu and I'm the creator of Straightline Mindset. I've studied personal development and mindset techniques for over 15 years. I've read many books and invested thousands of dollars in online courses. I put together all of the most actionable information I've applied into the Straightline Mindset course. This is not another fluff "info product". This material is actionable and can be used immediately to achieve your desired results. 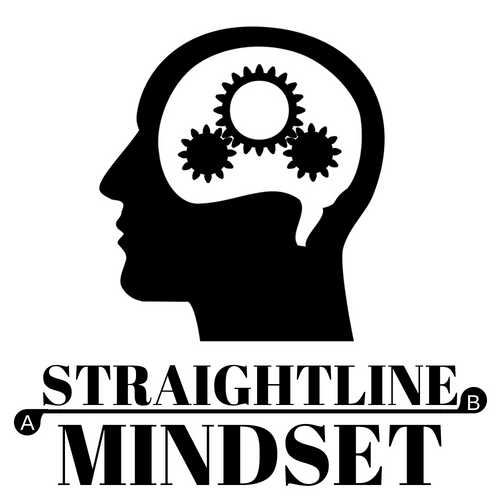 Having a Straightline Mindset is the difference between the 99% and the 1%. I have implemented the knowledge inside of this course to move from a corporate wage slave to earning a full-time online income with multiple revenue streams and traveling the world. This was my desired result and I achieved it in less than 2 years after developing a Straightline Mindset. Straightline Mindset is a 30-part digital course delivered over video and audio that contains important "inner distinctions". These inner distinctions are the key concepts that take you from being a Circular or Zig Zag person to a Top 1% person on a Straight Line to success. Geometrically speaking, the shortest distance between two points is a straight line. By utilizing these new "inner distinctions" you will be able to eliminate procrastination by doing only the next required steps. Most fail at achieving their desired results because they do the wrong actions or they quit before reaching their desired results. If you are serious about changing your life and have tried and failed multiple times, there is no risk in becoming a Straightline person. Your straight line mindset videos have really inspired me to move forward with my life. One night I was driving I was kind of frustrated and I started listening to Straightline Mindset... and you said "Nothing Grows in Your Comfort Zone"... an important realization that ultimately is just freeing. I use the straight line mindset vids to get my mind right for the upcoming weeks in my life. When given the option to make drastic change, most people will default back to their comfort zone. They will choose to do the same actions over and over again even though deep down they know that if it didn't work before, it won't magically work now.